Children are expensive at every stage of their life but as they get older, they will want even bigger purchases. One major expense is their first car. If you are going to pay for, or contribute towards this then you need to save some money in advance. Also, get them to do the same and contribute towards the cost. Do your research to find a good value vehicle and think about whether it will cost much in the future and if it will hold its value. Like any big purchase in life, it is much easier if you start saving for them in advance. If you have decided to buy your child's first car then start putting some money away when you can so it doesn't seem like such a big layout. Be sensible and think about how much money you are going to be able to afford, and then make regular payments into a savings account in the months or years leading up to it. Even if you have decided to pay for most of the car it is still important to get your child involved. By making them contribute towards the cost of the care it teaches them the value of money and makes them respect your donation more. If they have a part time job then get them to save a percentage of their earnings. If not, then pay them to do chores or get them to save birthday or Christmas money. To make sure that you get the best car for your child you need to do your research. Start reading, visit some showrooms and ask others for advice. 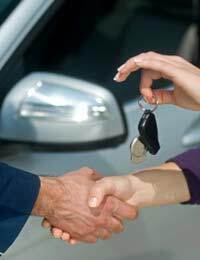 For their first car you will want something safe, reliable and sturdy but that it also not too expensive and good value for money. Don't shoot too high but be sensible about what is suitable for them and don't let their desires sway you too much. When you are investing money into a car you need to think about it as a long term purchase. What may seem like a bargain now won't be if it dies next year or needs lots of work doing to it. Think about how well the car will last, whether it will need a lot of money spent on it and if you will be able to sell it on for a decent price. Then you need to weigh up all these considerations to find the care that will be best for your child. Buying your child's first car is a big purchase and one that you need to think carefully about. Start saving for it and also get your child to save to as this will help to teach them about the value of money. Do your research and find a car that is safe and reliable but also good value for money. Think about it in the long term and whether the car will last well.